#FNGT18 Junior Finalist sing their rendition of "Brave"
#FNGT18 Finalists of the Senior Section Incorporate Comedy into their performance and spices up the stage! Hush Dance Studio's have forces with Tamariki & Rangatahi from All Over Te Tai Tokerau to create a WINNING PERFORMANCE! #FNGT18 Finalist of the Senior Section sings Ella Fitzgeralds "Summertime"
“One Day” was one of Opshops Most Memorable Songs released in 2007. Special Guest Performance from Junior Section 2017 Winner Kapowairua Waitai Sings "E Manea"
#FNGT18 Finalist of the Junior Section sings "Raise Me Up"
#FNGT18 Finalist of the Junior Section sings "Thank You"
Get your tickets for Far North's Got Talent 2018. 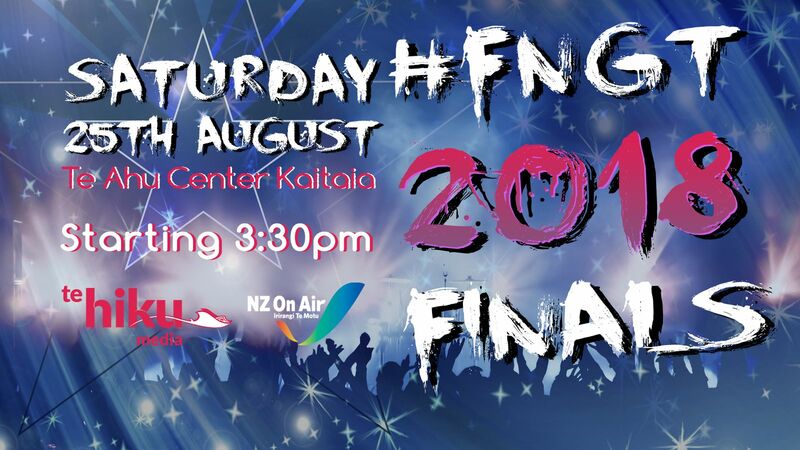 Live Stream - Shine on Kaitaia Presents Far Norths Got Talent!